Familiar sights and smells can send us into a pleasant state of nostalgia. Choosing plants from your childhood can be a great way to connect your past to your future. Whether it's a tomato plant bursting with ripe fruit or a delicate hydrangea bush that reminds you of a favorite family member, include pieces to honor your past. Gardens are about more than pleasant smells. Make sure to engage all five of your senses when planning the layou. Choose plants with different textures – some are fuzzy, and some have sharp thorns. Add sounds by attracting birds and insects or select grass that will make an audible noise when the breeze blows. Engage the eyes with different sizes and patterns, and experiment with edible flowers so you can taste more than veggies. Whether you're filling up an entire backyard or a small corner, consider the journey and the destination of your garden. Large spaces can use smooth or rough stepping stones to lay out a path; small areas might call out for a short bench or chair to sit and take it all in. Use creative ground covers instead of grass, and don't forget a few water features to enhance the calm. From religious pieces to decorative garden trolls passed down from family members, including meaningful pieces in your garden will make the space distinctly personal. Make it the center of attention by placing it on a pedestal or keep it more private by tucking it in among the flowers. Give your garden a focal point – something that will make you smile from the inside out. Even evergreens have seasons and your garden will look better when you consider the seasonal changes your plants will face. 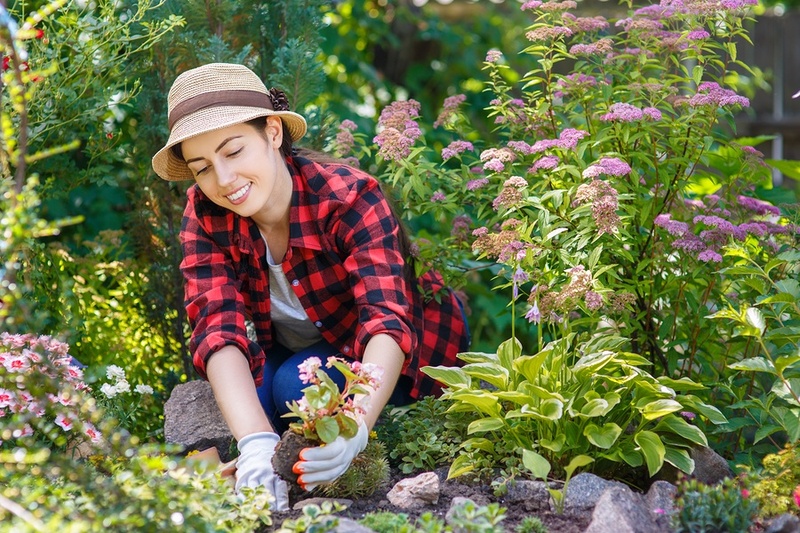 Think about including a specific plant for each season, from delicate tulips in the spring to fruiting trees in the fall. This way, your outdoor space will be lively all year long.